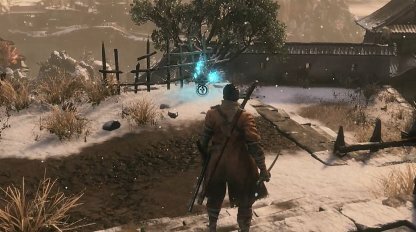 Check out this Sekiro: Shadows Die Twice guide & walkthrough on how to activate the Purification Ending after the Shinobi Army attack by talking to Emma & getting the Father's Bell Charm. Includes gameplay tips & guides. On top of the staircase to Kuro's room, talk to Emma. You will only be able to trigger this ending after the Shinobi Invasion. Make sure to progress the story up to that point in order to trigger this ending. 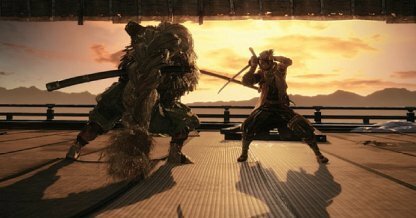 You will be able to trigger the ending after beating Great Shinobi Owl. 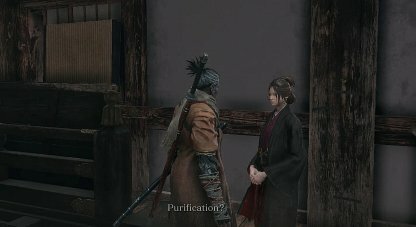 Missing out on any of the steps will put a halt to your progress towards the Purification Ending. Follow the procedure step by step to be able to revisit the Hirata Estate. There's a specific place behind the altar that Sekiro needs to be standing on to get the option to eavesdrop on Kuro. Hug the wall then move to the middle of the solid and grated part of the wall. 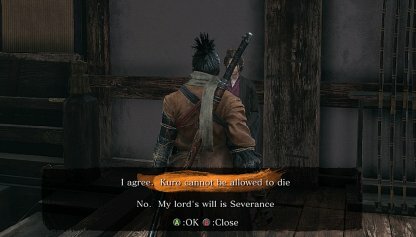 If you're going for the Purification Ending, make sure to choose the "I agree. Kuro cannot be allowed to die" option when you talk to Emma after eavesdropping on Kuro. Choosing otherwise will direct you to another ending. 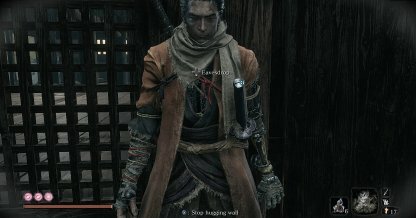 You may have to traverse through the Ashina Castle to get to where Emma is since the Old Graveyard Idol will be locked out after the Shinobi Invasion. When you get there, don't forget to reactivate the Idol to be able to use it again. There is a hole behind the temple that you'll need to get near to while hugging the wall to be able to eavesdrop on Emma and the Sculptor. Once you get there, the option to eavesdrop will appear.